Dayton Lewis is in Afghanistan, serving in the United States Army, but he also earned a personal training certificate overseas. We throw the term "heroes" around pretty easy from our cubicles and couches. But soldiers on the front line know a meaning for the word most civilians cannot fathom. The armed services are filled with strong, confident, and courageous men and women. Dayton Lewis is a former powerlifter, now a personal trainer with two tours of duty on his lapel. 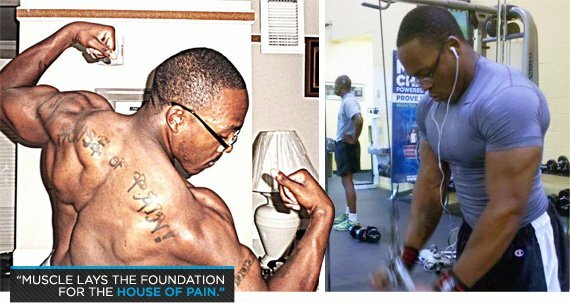 Check out his dedicated workout regimen and see why he is this month's military bodybuilder of the month! In 2006, I was a sophomore in high school, I got a new coach, who at the time wanted to help me out by losing weight, so he got me into powerlifting. After seeing results, I fell in love with working out and haven't slowed down since then. He had changed my life. Growing up the fat nerd is not what I had in mind. The hardest part is adjusting to a brand new lifestyle, away from family and friends. You have to make an ultimate sacrifice, becoming friends and family with your new peers. But knowing that you have the honor to protect your loved ones makes it all worthwhile. My tours help me look at fitness in a way more positive and serious way. You see all the time, people would rather still sit and play games than go out and run or take an hour to work out at the gym. The tours help because you're in a different environment. The military provides you with a nice gym and great healthy food that is even dummy-proofed for you. And Bodybuilding.com provides us with all the supplement help we need, with quick shipping and great quality items. I wouldn't want to be the soldier to come home unhealthy to my wife. 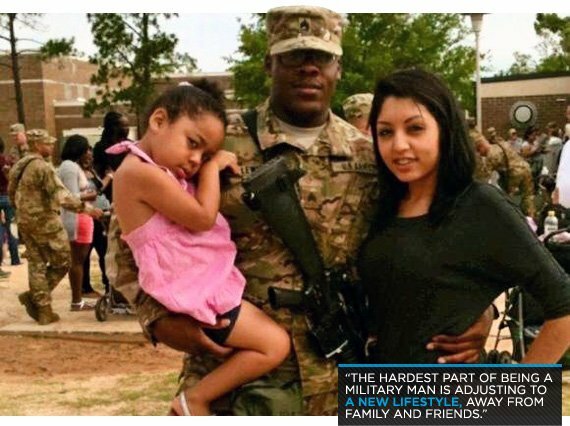 I'd rather be the soldier to come home and show my wife that I made a positive change for my health and my life. I believe I'd still do my best to train and become a personal trainer, but I believe the road to success would have been longer and harder. The military has opened up plenty of great opportunities for me. Being in Afghanistan has given me the time I needed to accomplish my personal training certificate. The biggest obstacle I believe is being away from your loved ones for a period of time. People say they can do it, but it takes a lot of heart and belief. Distance can make a relationship stronger, or it can make everything horrible. It's all on the soldier and the loved ones to make the best of what they have and pray for a safe return home. It translates in a major way. A lot of soldiers think they just can eat a salad, go to the gym for a bit, then a week later, be this huge macho man. It takes a lot of time, heart, and dedication to get to that point you want to get to. I know myself, and many great fitness personnel, have sacrificed time, favorite foods, and changed their whole way of living just so that they can get to where they need to be. It is a struggle, but not impossible, because it's defeated every day. It all on that individual to accept the challenge, find motivation, and do their best to accomplish their goals. I believe it can be equal. As military, we have PT almost every morning, waking up to a great fitness program. 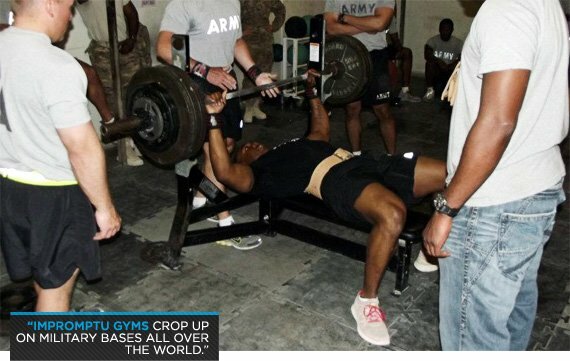 Civilians have to have that self-discipline to wake up and go out and get in a workout. Even civilians have access to a gym, or an open road or track to go run. I believe there are zero excuses why someone can't get fit, or at least healthy. It's all on that individual. If you really want it, you'll go out and get it. I plan to get out of the army, become a personal trainer, hopefully one day own my own gym. I plan on starting fitness modeling soon, along with competing. Jay Cutler, Jeff Seid, and Phil Health. A tip I would give to all military personnel is that we all learned what hard work is when we went through basic training. Having heart is half the battle, and we prove we have that every day. Being away from your loved ones is never easy. I was always taught that if you want it, you go get it. You can't sit around and wait for success to find you. You have to get up and go find success.